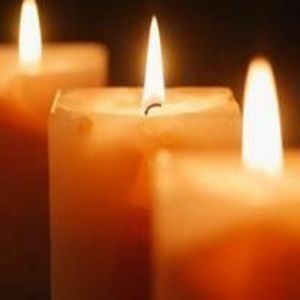 Justin McCray Whitley, 35, of Middlesex, passed away Saturday. A memorial service will be conducted 2:00 p.m., Saturday, March 4, 2017, at Thomas-Yelverton Funeral Home, 2704 Nash St. N, Wilson, NC. The Rev. Randy Pace will officiate. The family will receive friends Saturday afternoon, immediately following the service, at the funeral home. Surviving are two brothers, Phillip Whitley and Wayne Jones; a sister; Stacy Bundy; fiancée, Angie Winstead; step-son, Peyton Williamson; and stepfather, James M. Jones. He was preceded in death by his parents, Phillip Lee Whitley and Nathalean Baker Jones, and a brother, Steven Allen Whitley. In lieu of flowers, memorials may be directed to www.gofundme.com for Justin McCray Whitley and the American Heart Association, 3131 RDU Center Dr., Suite 100, Morrisville, NC 27560.